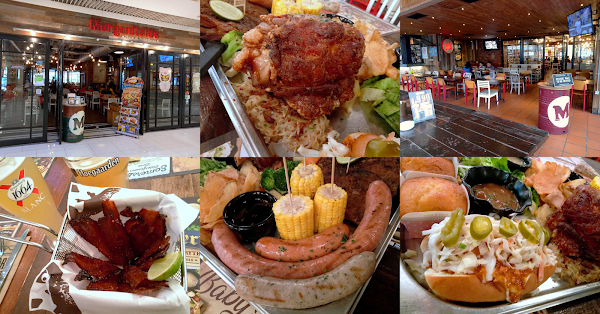 Special thanks to Morganfield's for extending this food review invitation. Oktoberfest is an annual celebration in the German city of Munich. The 2-week festival is marked by costumed parades, live music, Bavarian food and endless flow of beer. 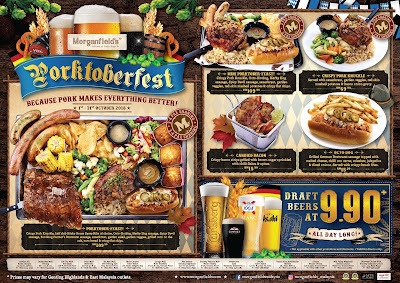 In the spirit of Oktoberfest, Morganfield's is rolling out a limited-time Porktoberfest menu. The word "Porktoberfest" is obviously a word play on "pork" and "Oktoberfest". 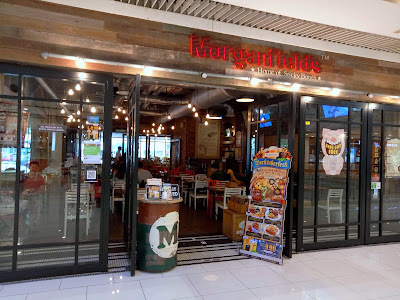 Viewed from outside the mall, Morganfield's is one of the more prominent restaurants in Queensbay Mall. Besides the air-conditioned dining area, Morganfield's also sports a large al fresco section where customers can enjoy the cool evening breeze. The ultimate spread this month is the Porktoberfest-Feast! 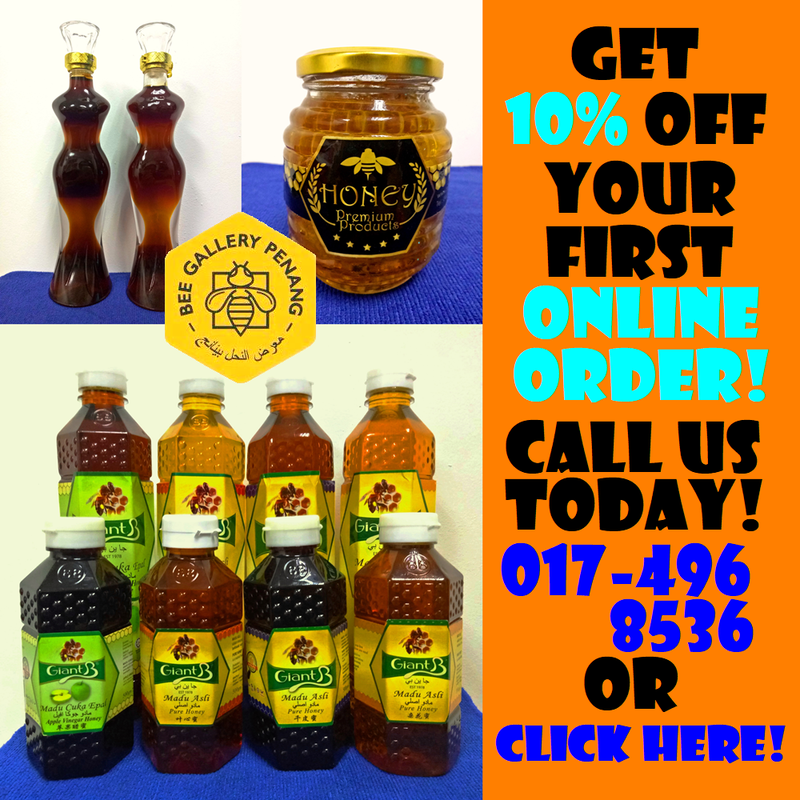 (RM209.90). The meal comprises of Crispy Pork Knuckle, Octo-Hotdog, Sticky Bones Spare Ribs, sausages and other side dishes. 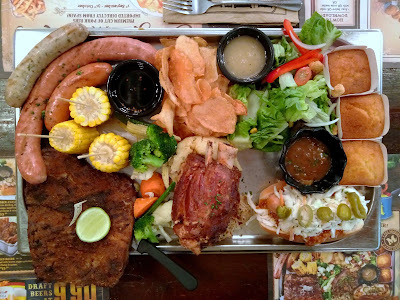 The enormous platter is meant to feed 3 or 4 people. 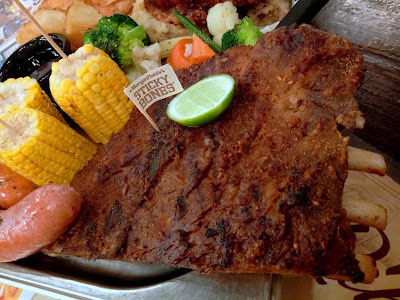 If the portion is too large, go for the Mini Porktoberfest-Feast (RM109.90) for 2 persons. 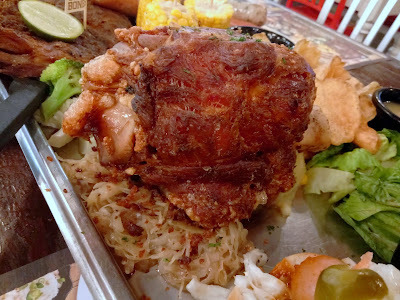 Crispy Pork Knuckle is probably the best known German delicacy to most Malaysians. This dish is called Schweinshaxe in German, and also known as Schweinshaxn in Bavarian dialect. Using the hock section of the swine, the pork is roasted to perfection. As per tradition, it is served with sauerkraut and goes well with bacon onion gravy. The platter also includes an Octo-Hotdog. Sandwiched inside a white bread roll is bratwurst, a type of German sausage made from pork. The bread roll is also filled with coleslaw, onions, chili con carne (spicy meat stew) and cheese. Sliced jalapeños are added on top. 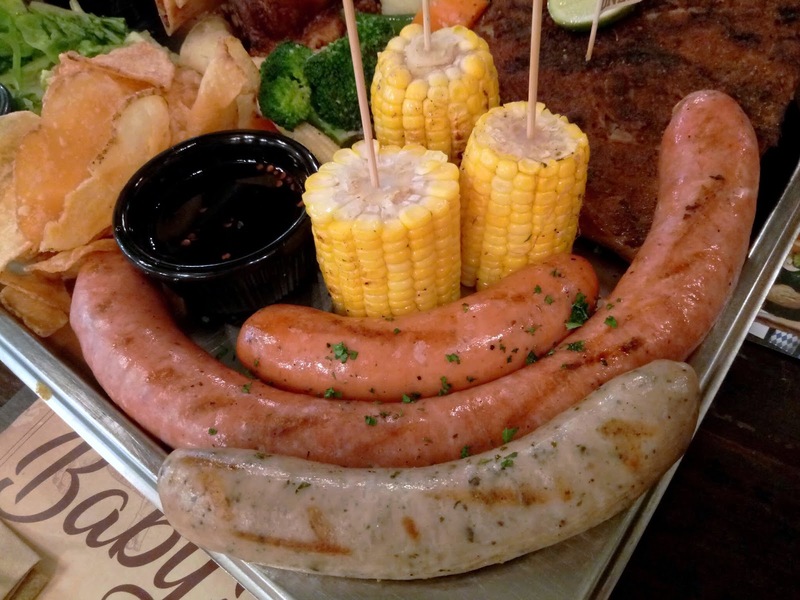 Morganfield's signature sausages are also featured in the Porktoberfest-Feast! meal. 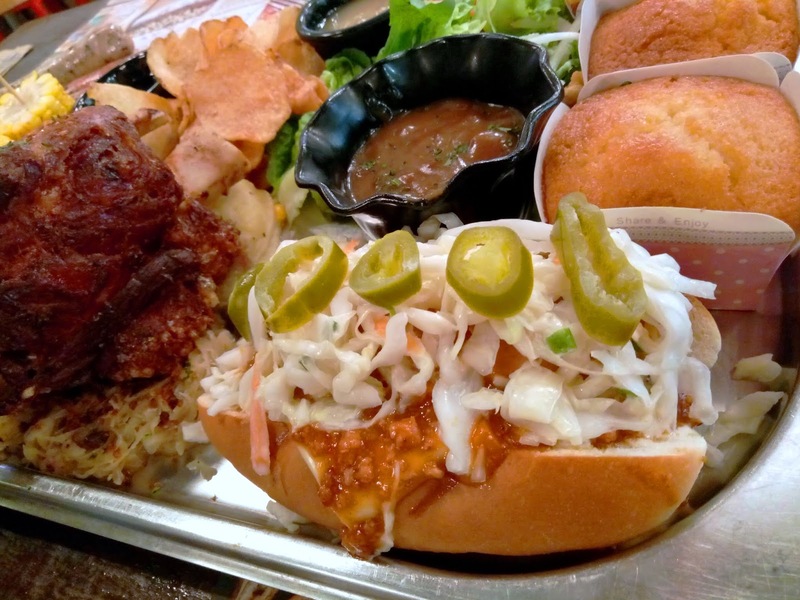 Three types take the center stage: Footlong Farmer's Bratwurst, Herby Hog and Spicy Devil. The Spicy Devil is my favorite. Despite its infernal name, the sausage is not terribly spicy. It is interesting to note that Morganfield's stuffs sausages at its own central kitchen. Porktoberfest-Feast! comes with half a slab of Sticky Bones Spare Ribs. Customers can choose any of the five flavors: Hickory BBQ, Garlicky BBQ, Smoked Peppercorn, Asian Charred and Rib Rub. We opted for Rib Rub today. This is a classic dry rub recipe that does not use barbecue sauce. 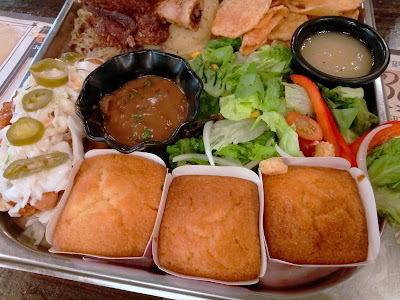 Also included are three pieces of corn bread; I love their crumbly texture. In addition, grilled corn on the cob, red skin mashed potato, flat chips, garden salad and garden veggies serve to complement the meat-heavy Porktoberfest-Feast! meal. Porktoberfest-Feast! 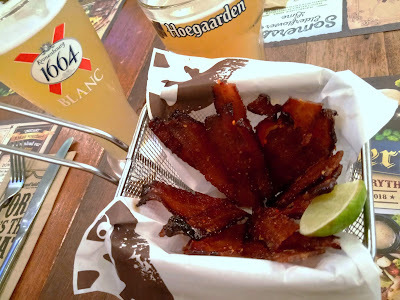 does not cover Candied Bacon (RM15.90), so this snack has to be ordered separately. The crispy bacon strips are grilled with a caramelized layer of brown sugar, resulting in a gentle sweetness with delights the taste buds. To add flavor, the basket of bacon strips is given sprinkles of chili flakes and spices. This finger food goes well with beer. Speaking of beer, Oktoberfest will not be complete without endless kegs of booze. In conjunction with the festive season, Morganfield's is pouring draft beer by the glass for only RM9.90 each. The German beer, Erdinger Weißbräu, is unfortunately not available today. 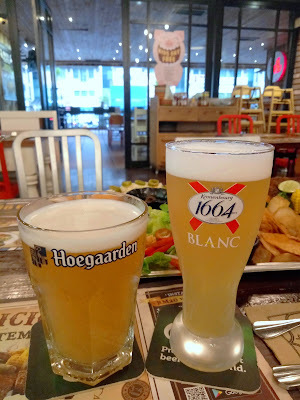 Therefore, we substituted it with Hoegaarden and Kronenbourg Blanc instead. Morganfield's Porktoberfest promotion runs throughout the entire month of October 2018. 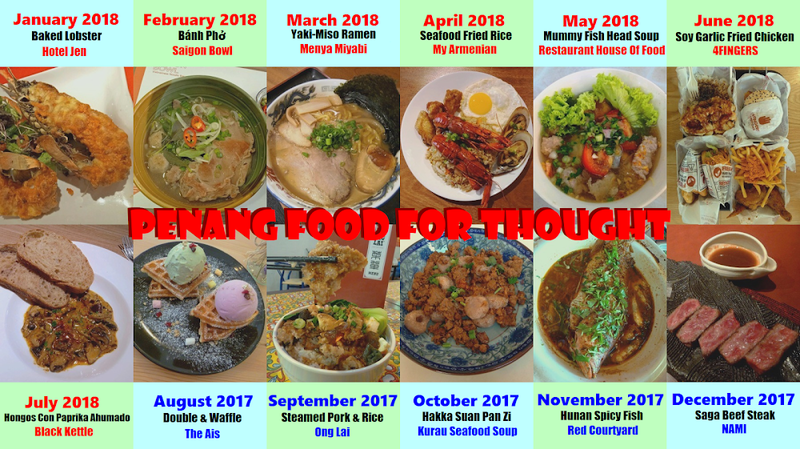 It is available in all outlets in Malaysia, but the prices may differ for Genting Highlands and Kota Kinabalu restaurants. 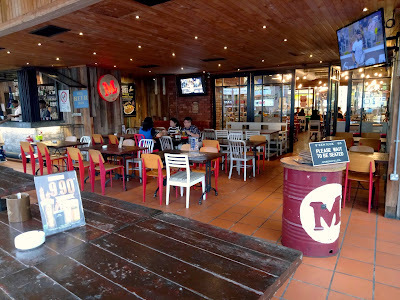 Directions: Morganfield's is located on the Ground Floor of Queensbay Mall, right next to Starbucks Coffee. Queensbay Mall has a multilevel parking garage and several outdoor parking spaces.